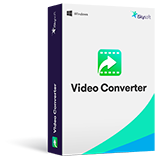 iSkysoft Video Converter for Windows is the best video converting software to convert video/audio to any format on Windows 10/8/7/XP/Vista, thus you can freely edit them or play them on various devices as needed. 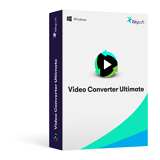 iSkysoft Video Converter for Windows helps you convert HD videos and online videos in addition to standard video and audio files. Then you can freely play any video on different platforms as you want. Support all standard video formats such as MP4, MOV, FLV, AVI, WMV, MKV, 3GP, etc. Support regular audio formats like MP3, MKA, WMA, WAV, AC3, AAC, M4A, etc. Download and convert online videos to any popular video or audio formats. Convert HD videos from Camcorder in AVCHD, MTS, M2TS or other formats. Convert MP4, AVI, MOV, M4V, MP3, M4A and more popular formats on Windows PC. Convert video or audio files with zero quality loss at 90X faster speed. Directly add video files to the converter from your mobile devices or camcorders. Convert DVDs in order to play on mobile phones, tablets or Windows PC, etc. Copy DVD folder, DVD ISO file or DVD IFO file as a backup. Easily burn any video to DVD folder or ISO files as you wish. Download online videos from 1,000+ sites, like YouTube, Facebook, VEVO, Vimeo, etc. Trim, crop and rotate videos, or add subtitle/effects/watermarks to your videos. Easily transfer your converted video files to your iPhone, iPad, Samsung or other devices. Handy interesting tool to convert video or photos to GIF files. Easily auto-fix and edit video metadata. 1-Click to convert normal video to VR. New algorithm enables you to convert media files from one format to another at super-fast speed, and with zero quality loss. No longer do you have to put up with the crawling speed of old video converting software. The boost in speed is the result of harnessing GPU power to do the computing instead of relying on sole CPU power. In addition, the Windows video converter is able to preserve the original image and audio quality because it wraps up your media files merely in a new container while keeping the underlining codec unaltered. iSkysoft Video Converter for Windows supports presets for popular devices like the iPhone (including iPhone SE and iPhone 6s), Android devices (like Samsung Galaxy, LG, HTC, etc. ), game console, etc. After converting videos to compatible formats, you can play them on any device as needed. iSkysoft Video Converter Windows offers a foolproof way of downloading videos from video sharing sites like YouTube, Facebook, DailyMotion, VEVO, Vimeo, Hulu, BBC, and many more. All in all, it supports over 1000 video sites. Whenever you view a video in your browser, you will see a "Download" button in the video. Then all you need to do is to click the button to start downloading. Alternatively, you can also download online videos by pasting the URL to the video converter for Windows program. What’s more, built-in video recorder helps record any video as you want. It has simple interface to help convert videos or audio files within a few clicks. Extract audio from videos to MP3, WMA, AC3, M4A, AAC, WAV, etc. It comes with a built-in video editor to control various aspects of your video. Directly play the downloaded or converted videos to check the quality. 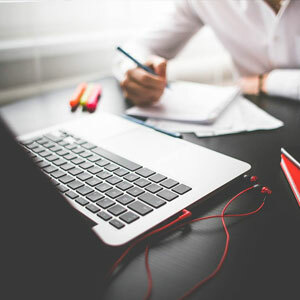 Download Video: 2 ways to download online videos: The “Add URL” button in the program or the “Download” button at the top right corner of video in your browser. Record Video: Launch the built-in video recorder to record streaming videos. Edit Video: Click the “Edit” button on the menu to get video editing window. Then you can go to different tabs to trim, crop, rotate video or add effects/subtitles/watermarks. Processor: >750MHz Intel or AMD CPU. iSkysoft Video Converter for Mac is undoubtedly one of the most robust video converter, editor and downloader that we’ve ever seen. Asahi Refining combines nearly 200 years of experience with innovative techniques to create the highest-quality in precious metal assaying, refining and bullion products.